Asbestos plaster removal is something that few homeowners think about. In fact, few homeowners know that plaster can contain asbestos at all! 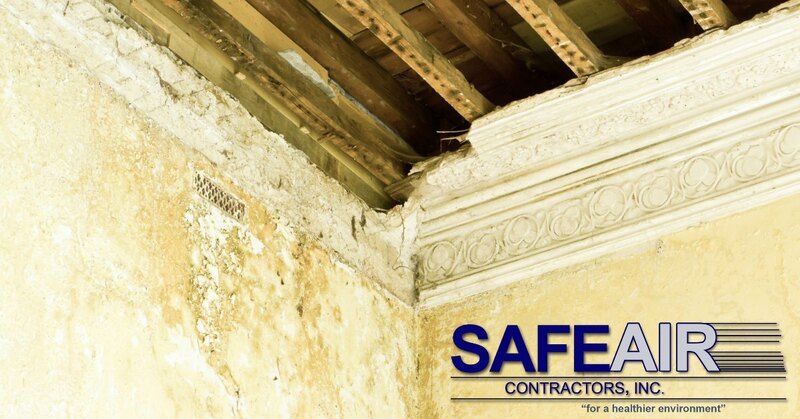 Here at Safeair, Inc. we specialize in asbestos removal and have over twenty-five years of experience in the field. That’s why today we want to tell you what you need to know about asbestos plaster removal. Like many building materials, there was a time when plaster had asbestos added to it to make it more flame retardant. It was thought that the durability of asbestos and it’s flame resistance would only serve to improve a structure. Any asbestos-containing plaster used in building is referred to as “asbestos plaster”. Unfortunately, we now know that asbestos poses many negative health effects and it has since been outlawed for use in building materials. That doesn’t help homeowners who already have asbestos-containing plaster in their home structure, however. This is where asbestos plaster removal comes in. How Does Asbestos Plaster Removal Work? As we have talked about before, asbestos removal can be a particularly dangerous job which is why professionals require licensure to perform any asbestos removal job. To create a safe home environment, asbestos plaster must be removed, but the very act of removal can cause asbestos fibers to become airborne. These fibers are then easily breathed in and can contribute to a range of serious illnesses. So, how can asbestos containing plaster be removed without risk? Professionals like our team here at SafeAir, Inc. utilize various methods of asbestos removal to ensure that a home remains safe for all of its inhabitants. We begin by drafting a plan of action based on your specific situation, the structure of your home and the extensiveness of asbestos contamination. From here, our professionals set up a safe and isolated area that will contain any potential contaminants during the removal process. During this time our removal experts will be fully outfitted with safety equipment to ensure their safety as well! Next, we begin removing the plaster from your home. Due to the dangerous nature of asbestos fibers, all asbestos-containing plaster removed from your home must then be safely transported away from your home and disposed of properly. This waste can’t simply be thrown into the trash! Fortunately, certified professionals like our team here at SafeAir, have access to the proper tools and disposal facilities to take care of your job quickly and responsibly. Who Do You Call For Asbestos Plaster Removal? If you live in Ohio or Pennsylvania, our fully trained team of professionals are at your service. To see how we can help you with your asbestos plaster removal, just give us a call at 440-639-1191! Don’t live in our service area? Don’t worry, you can contact your local health department and ask for recommendations of licensed asbestos removal professionals.